I was walking down the street and saw this sign, which has some clear mistakes. 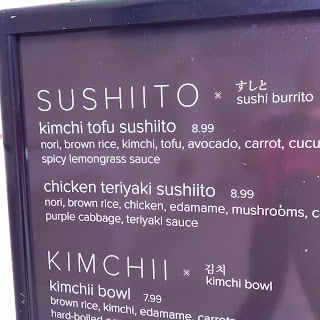 They transliterated すしと as "sushiito." The double-i means it's a long sound, but すしと doesn't have that: す=su し=shi と=to. If they were truly transliterating it, the Japanese would be すしいと: す=su し=shi い=i と=to. 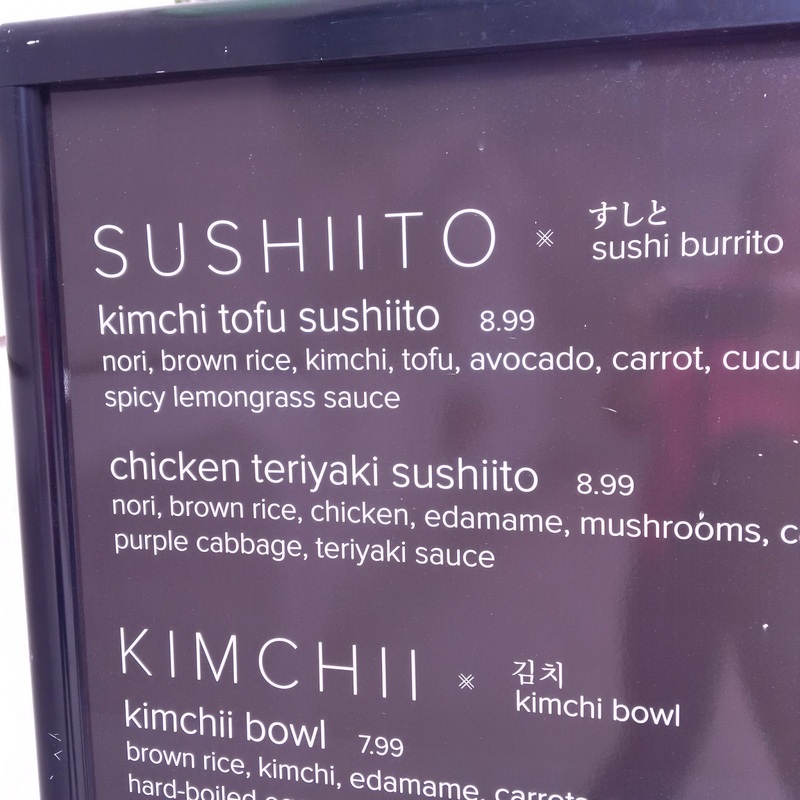 It seems like they're trying to be clever because they've created a sushi burrito, so they've combined the two words, but they failed in the execution. I'm surprised that a restaurant in a major part of the city (downtown Chicago) made such mistakes. They could've gotten some native speakers or knowledgeable non-natives to proofread the sign. Way to go! How's your food?